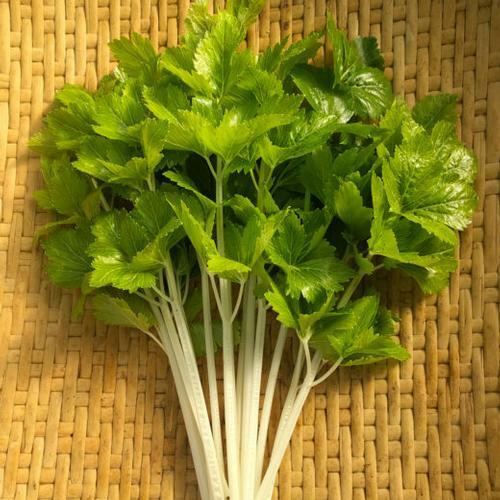 Chinese celery is such a handy culinary plant; far easier to grow than European style celery, but the thin stalks give you more great crunchy texture than the cutting celery in our herb program. Use it like a herb because of the intense flavor. This lovely selection has creamy white stalks and chartreuse foliage, loves the cool weather but can tough out our summers. Ht. 8-12", and like all celery family members, does best with plenty of moisture.